Soltec is testing for all bifacial tracking variables at its new evaluation center in Livermore, Calif.
We are on the verge of the bifacial solar tracker era. Projects are being quoted with many starting to break ground later this year and early 2019. Only two issues remain in the way of serious wide-spread adoption. First is the price of bifacial modules, which sits at about 30 cents a watt on average right now. The premium price makes sense because the market hasn’t formed yet, and it won’t form until there are bankable production estimates for the technology. That would be issue No. 2: the data set for bifacial tracker performance is incomplete, but this is about to change in a hurry. Several big-time partnerships between tracker companies, module companies and PV research and testing labs have formed within the last year to understand this new bifacial module + PV tracker paradigm, test theories and build a complete data set on bifacial tracker production. “This is a fundamentally different paradigm than before because the tracker and module are all intertwined with the site conditions in a way they weren’t before,” says Ron Corio, founder and CIO of Array Technologies. 2x modules in portrait versus 1x. One variable not changed throughout the field is tracker height, with all 2x configurations standing at 7.71 ft (with 1x configuration trackers at a height of 4.43 ft). 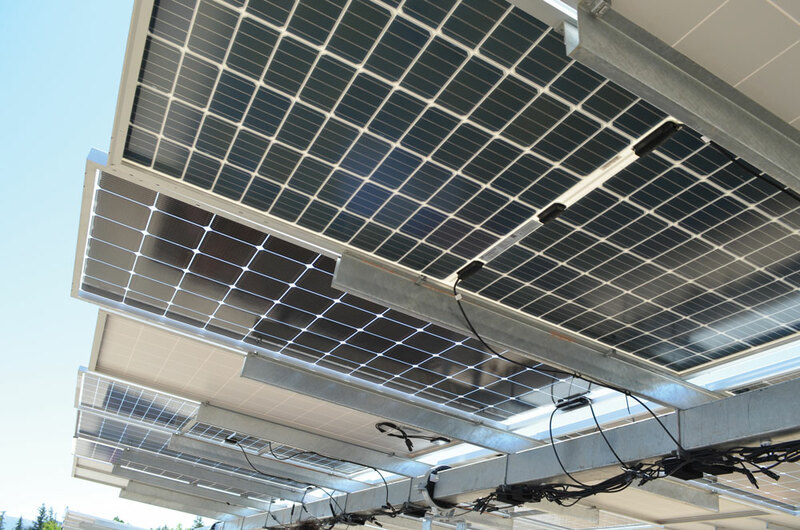 The reason is Soltec’s preliminary electric performance measures over bifacial modules reveal a short-circuit current difference of over 2.3 percent between 1x and 2x trackers, meaning that height has a significant influence over the energy output of bifacial panels. The capture of diffuse irradiance below and around the tracker is increased with height, while the shadow cast on the ground is softened. Array Technologies is taking a different approach. Also working with a U.S. national laboratory, Array is mapping the backside irradiance at a half cell resolution as well as testing various configurations at string level. Array’s testing is focused primarily on the module tracker interaction, varying module mounting techniques as well as testing module design variance. An important objective of this testing is to validate ray tracing simulation programs which will aid in the accurate modeling of bifacial performance in site-specific applications. In a comparative one year test, conducted in 2017, Array saw a 9 to 10 percent yearly gain for bifacial over monofacial at the same test site. 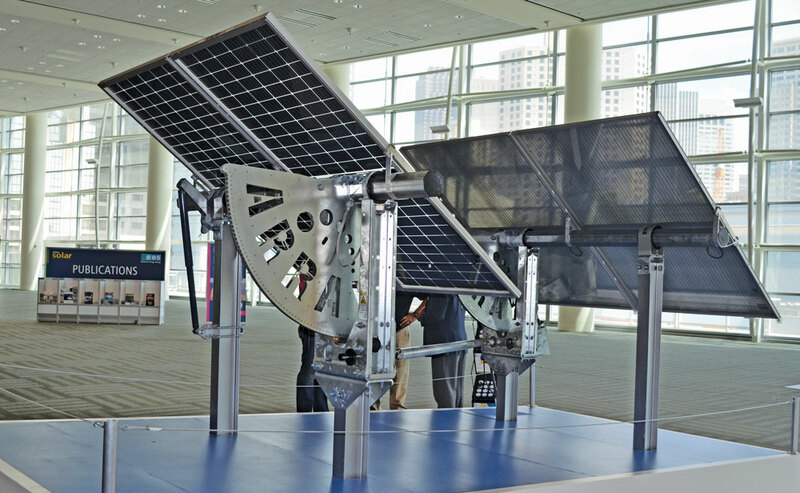 Array Technologies already sees a 9 to 10 percent gain in bifacial tracking performance. The difference in Soltec and Array’s testing approaches is in line with the difference in their tracking approaches — Soltec uses distributed tracker rows and Array supplys centralized drive. All of the performance gains reported will need to be considered within the already established LCOE of each tracker design. Example: The torque tube impact is an early point of differentiation depending on who you ask. The Soltec testing team has seen the shadow from the torque tube in a 1x configuration hurting irradiance harvest in a way it does not when positioned in a 2x configuration, so its SF7 tracker includes an intentional gap between modules at the torque tube location that avoids shadowing on the backside of the module. Preliminary measurements have shown that up to 38 percent of reflected light does not reach the center of the bifacial modules compared to the edge due to the torque tube shadow of the 1x configuration. Array is quantifying the impact of the torque tube to harvestable rear side irradiance and testing modules with design characteristics that may use the torque tube as a performance advantage. All of Array’s test data will be compiled in an LCOE comparison. The difference in testing isn’t really the point. 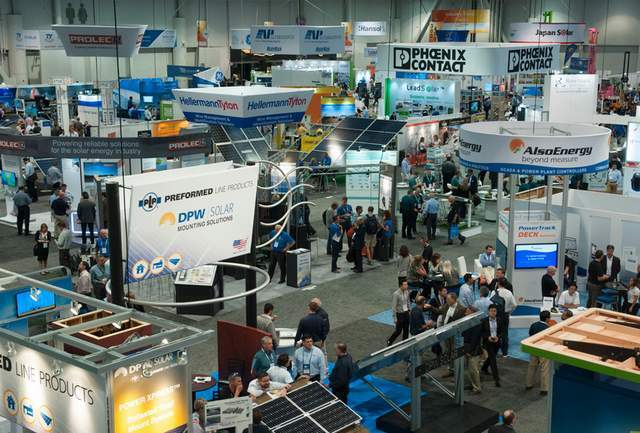 The Lawrence Berkley National Lab noted during the Market Trends panel at Intersolar that the cost premium associated with tracker projects is all but gone with 79 percent of newly installed capacity being trackers. When all of this testing is done, the choice will still be the same centralized or distributed tracker decision its always been, just with these new bifacial performance gains to plug into the equation. Diagram provided by Shanghai Shengpu. Based in Shanghai, China, Shanghai Shengpu entered the solar market in 2008 and is a primary developer of systems solar manufacturers use to dispense sealant that bonds solar panels together. While Shanghai Shengpu’s dispensing systems are prevalent in the solar industry, its systems are also prominent in the gas and electronics industries. 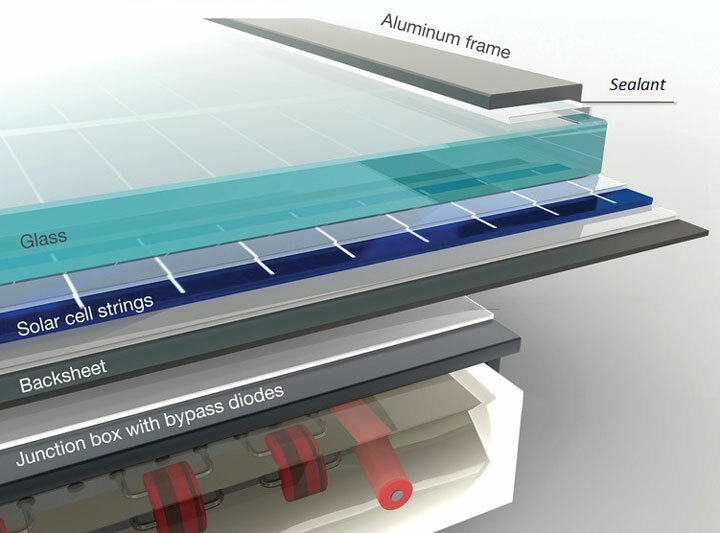 Shanghai Shengpu dispensing systems account for 80 percent of all solar panel bonding systems in China, helping to contribute to the $43 billion solar market, and several of its module manufacturing clients will be opening up facilities in the United States in the coming years. Before Shanghai Shengpu took its dispensing systems to the solar panel market, it conducted an assessment of its existing equipment to confirm that it was still working with the best products to develop its dispensing systems. Every solar panel plant conducts a process called “framing,” where they attach an aluminum frame onto the solar panel. During framing, the dispensing system is used to lay down the sealant that adheres the aluminum frame to the glass panel. Shanghai Shengpu evaluated the framing process and found that there was an opportunity to improve the existing system by incorporating a piston pump package from ARO, a brand of Ingersoll Rand. Sealant dispensing systems all have a piston pump package that includes the transfer sealant, a metering unit to ensure dispensing accuracy, a dispensing valve for on/off control and a work table to hold the frame and control the movement of the dispensing valve. After the dispensing process is complete, the frames are transferred by machine or by manpower to the panel assembly machine. When developed correctly, a solar panel should last for about 25 to 30 years from installation to retirement. With a wide selection of pressure ratios and displacement rates available, ARO offers a variety of application packages preconfigured with the right motor, piston pump, mount, controls and downstream accessories. Packages range and offer multiple configurations, including single-post, two-post and heavy-duty two-post, to ensure the best solution for the application. Preassembled and validated application packages eliminate the guesswork that comes with choosing the optimal pump. For Shanghai Shengpu, the ARO 55-gallon, two-post ram piston pump package was best suited for creating the dispensing system. When Shanghai Shengpu implemented the ARO piston pump package into its dispensing system development process, it was able to see significant improvements. In a market that is set to grow significantly over the next several years, ensuring that solar panels are developed the best way possible is only going to help the market get there faster. Jim Artmann is Global Product Leader for ARO. 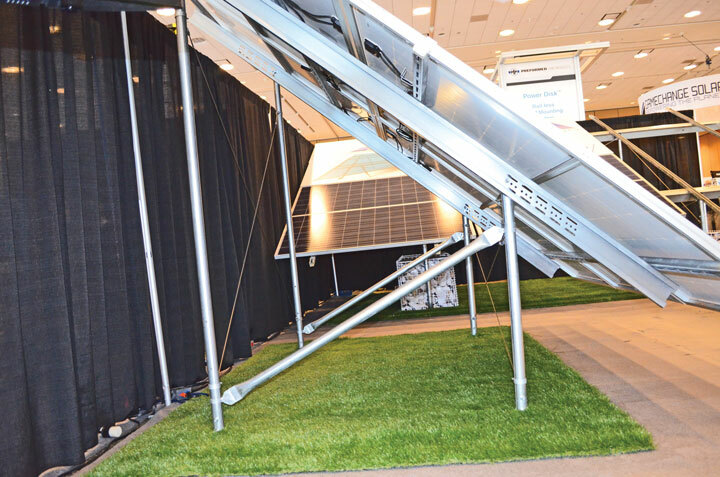 The use of augers and ground screws has been of interest in mounting solar systems for some time, and for the right size job, they offer smaller solar contractors an opportunity to grow their business. For one, with smaller PV systems, one may not need to spend money on a soil engineering analysis and the cost to permit the design separately. The typical soil type in an area may be known from experience. Perhaps local experience with other construction such as a home foundation or a water line installation can provide clues to the soil type. A method used by some contractors is to use a hammer drill and ground rod available from an electric supply store and see how easily the rod can be driven into the earth. If the rod hits solid rock 6 inches below the surface, or if the rod is very hard to drive, this could either disqualify the use of ground driven foundations, or in some cases lead to using ground screws rather than augers. Additionally, many counties and states have published maps showing the soil types for many locations. Other sources of data are well sites where there is often a record by the foot of the surface to depths much greater than one would drive a ground-mount. Once a determination has been made as to the type of soil at a site, the installer should select a ground mount to use at a site. If the soil type is not heavily compacted and not rocky, one can consider the use of augers. Most typically, a ground auger driven 7 to 10 ft. will suffice for most 3- and 4-row landscape arrays. Some form of tractor or track machine is required to drive ground-driven foundations. These machines are easy to rent and use, and depending on the volume you are doing, worth owning. Small arrays with only 8 or 12 posts are probably not worth the investment, but between that and larger arrays that require a specialized company to drive the mounts, there is a sweet spot that makes financial sense. driver used for fence posts that may be used. Most equipment rental yards can supply a small track machine normally used with a hole-digging auger. With the hole-digging auger removed, an adaptor can be used to mate the drive head to fit augers and ground screws. A 2 in. hex adaptor that fits the machine can be purchased by the installer if not available from the equipment rental yard with the machine. The amount of torque required to drive a ground mount should not be more than a nominal 3,000 lbs. If more torque is required, or if the mounts are breaking, than the wrong mount was selected. If augers break, a ground screw should have been used. If ground screws break, then a non-driven mount should be used. If occasionally a mount breaks due to an undetected boulder or other issue, a traditional post and concrete mounting should be used. In the case of Groundwater, a 50-kW project in Portland, Ore., where over 400 augers were used, eight anchors broke due to large sporadic rocks and were replaced with eight concrete-mounted posts. Augers have a pitch determined by the blade angle. Our auger is a 10-to-1 auger. Using a 10-to-1 auger, each ft lb of torque driving the auger provides approximately 10 times the uplift capability when driven to 10 ft of depth. For example, if an auger is driven with 500 lbs of torque to 10 ft. the pullout will be approximately 5,000 pounds. Typically, augers are driven much harder, resulting in tested pullup values of 20,000 to 30,000 lbs. Most often, augers driven in reasonable soil values will dramatically exceed the pullout values actually required to resist pullout or overturn of the array. Ground screws in hard soils have pullout values of 1,500 to 5,000 lbs at a depth of 5 ft., however this estimate is entirely based upon the soil density. The use of ground screws in soft soils will not provide a satisfactory base for a solar array. The use of a torque measurement gauge is recommended as an additional check on the drive torque and resulting pullout capability. Some modern machines one can rent or buy have a built-in torque gauge. Additionally, there are devices that can mount between the hydraulic head and the ground mount to measure the torque. However, a careful operator will have some sense of the amount of effort required to drive the ground mounts, and in most cases can successfully install and drive ground arrays without a torque head. 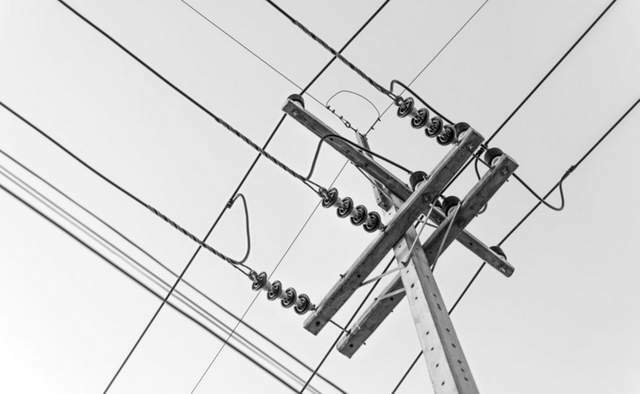 AP Alternatives’ Ready Rack mounting hardware is designed for both large utility-scale projects and small commercial projects. 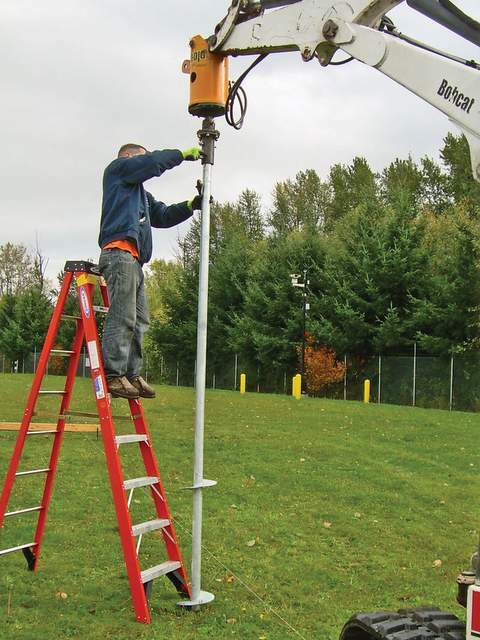 The small helical anchors and quick-install cross bracing make the simple system robust even for high wind zones. The mini-tilt brackets are adjustable and allow for quick field alignment of the post height. This allows the anchor posts to be installed rapidly and any terrain variation can be accounted for by simply adjusting the tilt bracket up or down to achieve the best aesthetics on an ungraded site. This system is nimbly installed with an attachment that fits on a skid steer. 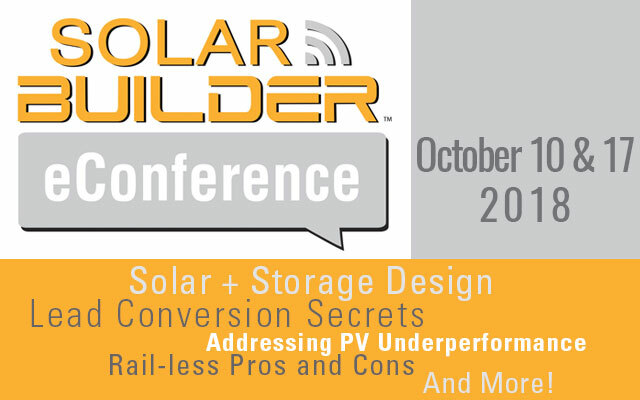 Wondering what to see, where to stop and what’s new at the largest solar industry trade show in the United States? To help you figure that out, pick a statement that fits what you need and see where it leads. Think of it as a Choose Your Own Adventure story. Or, be no fun and just thumb through each page at random using the numbers at the bottom. I suppose that’s an adventure too. What’s your SPI Action Plan?